Enhance your business processes by eliminating the time spent to manually retrieve and file critical information. 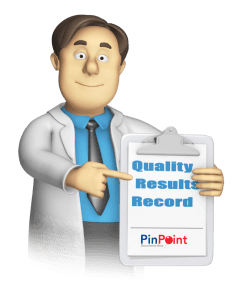 PinPoint is a fully customizable, non-technical administrative approach to implementing a Quality Assurance Document Management solution that is an exact fit for your organizational needs and procedures. In order to manage a productive involvement, the ability to streamline workflow processes automatically is crucial. PinPoint allows you to assign workflows based on document types and route to users to notify them that there is a task waiting for them to perform. You will have the ability to update status and comments along the way, and also to reassign workflow tasks at any time. With supervisor reports, you can ensure that the workflow continues to move and is never delayed. Administrators can assign workflow to groups and users they create as needed. Administrators can also add comments to content throughout the workflow using tools such as sticky notes or metadata tags that are associated with any particular document. The assigned Supervisor for a given workflow can review any and all documents that are not completed, in progress and/or overdue. When it comes to Departmental Records, you can improve response time by receiving faster collections, even decrease costs by quickly connecting staff to important information. Scan directly into the system or route electronic documents directly without physically printing or scanning. Through the use of the automatic sweeper application (ARIE) users can drag-and-drop files directly into the system and have them filed automatically. Even have batch and multiple type documents can be scanned or imported automatically to be broken up and filed properly. Consider PinPoint your one stop shop for users on the go; store your organization’s forms in one location for all to access, making timely completion of assessments, progress notes, annual reviews, etc., an easy to use task. Reminders and merge letters are also a portion of the PinPoint QA system, and can be used by staff. A dashboard reminder screen, showing tasks to be performed and notifications are displayed. This can be a crucial help ensuring that all paperwork is completed in a timely and efficient manner. Access from PC, MAC, Smart phones, iPad, etc… from anywhere. Complete version control is also built into the PinPoint application which gives users the ability to review all versions of any particular document that they have the rights to view. Users have the ability to add versions of documents, and have the option of replacing the original or saving multiple versions. Easy retrieval of all and any versions using quick access retrieval screens. MS SQL back-end enables limitless growth with no degradation to the performance. Robust for any number of active users. As a mobile ready document management system, PinPoint can be accessed from all smartphones (including iPhones, Androids, and Windows Phones) and tablets (including iPads, Android Tablets, and Kindle Fire). If your phone or tablet has a web browser and access to the internet, PinPoint will provide easy access to your data. PinPoint offers flexibility in which users can access data quickly from any location. Based on the permission you have set, each user can obtain file information with their mobile device and can follow through with their assigned tasks. Using the PinPoint Mobile App is fast and easy and is a great solution for doing your work on the go. Capture any and all file types whether paper or already electronic. PinPoint captures metadata and content directly from the file to determine the location within your folders. Batch and multiple type documents can be scanned or imported and automatically broken up and filed properly. Users can scan directly into PinPoint or route electronic documents directly without physically printing or scanning. Through the use of its automatic sweeper application (ARIE), users can drag-and-drop files directly into the system and have them filed automatically. ARIE will identify the data and break-up the pages to file them into the proper location using Distribution Rules that you create. With a built-in OCR engine, PinPoint produces full-page and zonal OCR for electronic documents. You can also have the system merge documents automatically for you based on metadata and content. 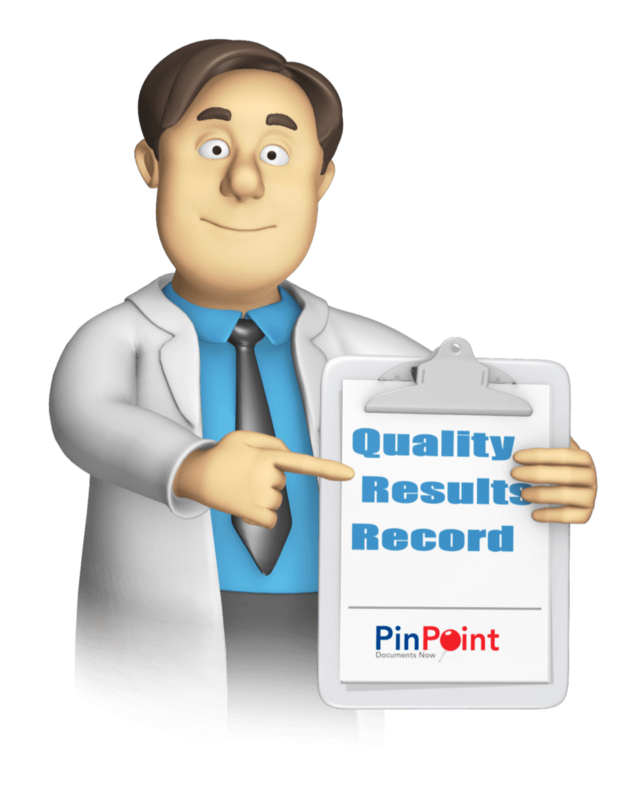 Any and all files (including audio and video) are accepted intoPinPoint, including over 400 file formats. Retrieval is fast and very easy to look up information and files, and does not take up the time that you need to spend on your core responsibilities at your job. Acquire your files anytime from any location with multiple search screens. Within your search, users can filter and drill down based on metadata and content making it very easy to locate any specific document. Once a document is up, users can view the history pertaining to that document and can view any and all versions to that document. All files and documents are stored in their native format and can be exported by any authorized user. PinPoint creates a viewable image in a PDF format for comments and markups without having to launch the native application. If any updates to documents such as word files are needed, the user can check-out the document and make all necessary updates to the native file then check the document back in. Schedule a Demo With Us Today!